A few months ago Samsung launched the Galaxy S6 edge Iron Man limited edition in partnership with Marvel, and it was pretty exciting for fans of that particular superhero. The Iron Man edition had a special look, with red front and back and a gold metal frame. There was also a bundled wireless charger that was arc reactor-themed, as well as a custom theme on the phone and an Avengers box. 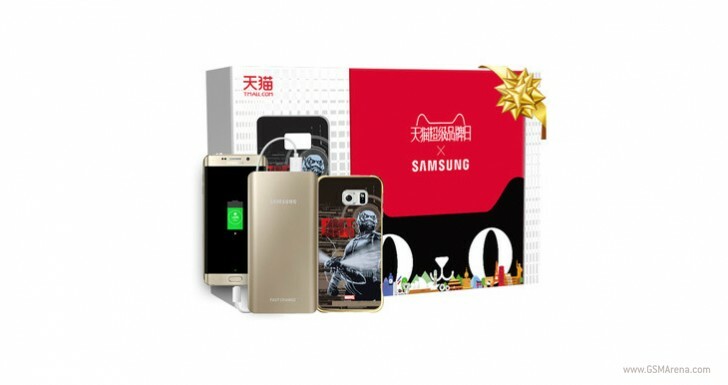 Most of those things are not to be found on the new Galaxy S6 edge+ Ant-Man limited edition that launched in China today. In fact, the only things that are different here than with the vanilla S6 edge+ are the box, a protective case that is bundled with the phone, and possibly a custom Ant-Man theme on the handset. The case is a nice touch, but going with a custom color scheme for the phone itself, like with the Iron Man edition of the smaller S6 edge, would have been welcome (not to mention a custom designed wireless charger). The box and the case both have the Ant-Man vibe, of course. If you're in China and are interested in this limited edition phone, know you'll need to pay CNY 5,888 to get one, which is around $925 or €848 at the current exchange rates. Not cheap, then.